Northern Westchester Hospital chefs dazzled judges with a Moroccan-inspired entrée at North Shore-LIJ’s fourth annual Ultimate Chef Challenge. Their “Pork Tenderloin Casablanca” won first prize in the heated competition, hosted by Glen Cove Hospital. Culinary masters from 14 hospitals across the health system competed in the contest served delicious meals, but without high fat, calories or sodium. If you think this contest is like Iron Chef, it isn't - it's harder. All Iron Chef contestants have to worry about is taste. 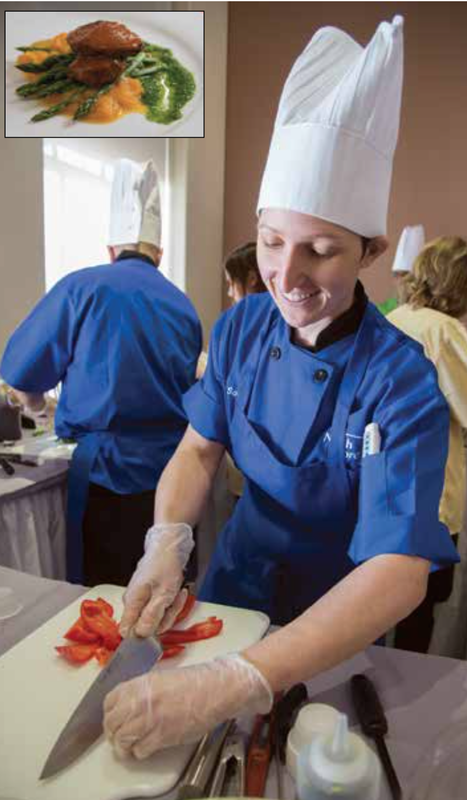 These hospital chef competitions require the dish to be no more than 500 calories, low in fat and low in salt. And delicious. That just shows you how talented my daughter-out-law is. I'm kvelling.